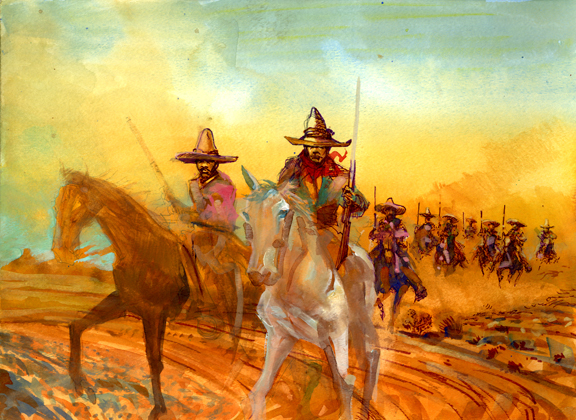 Daily Whip Out: "The Charge of the 21 Vaqueros"
Had a very ambitious version of this scene going—with excellent photo reference—which I worked on most of the weekend, but I finally gave up on it, late Sunday afternoon. 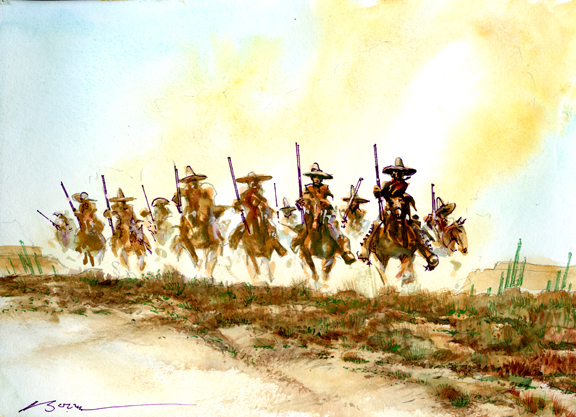 Daily Whip Out: "Vaquero Charge Failure"
Sometimes having good art reference can be a curse rather than a blessing. It's painful to let this one go, but then so is working a good scene to death. Hopefully I learned something from the experience, but as Archibald says, even learning can be painful. "There's only one thing more painful than learning from experience, and that's not learning from experience."